Zach Auguste will wear the jersey of Panathinaikos in the next season since he turned down the offers he had received from NBA teams. 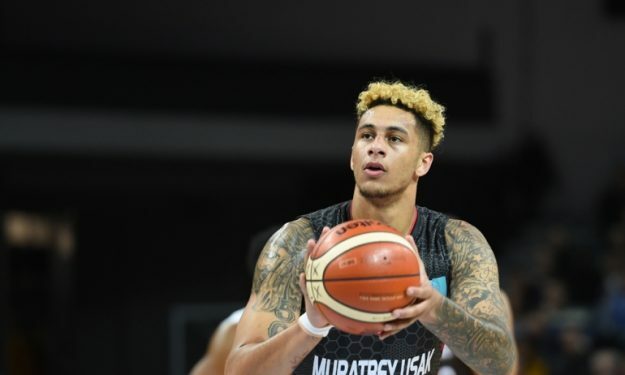 Panathinaikos officially signed Zach Auguste on late June but the player’s contract allowed the player to opt-out in the case he found the NBA deal he was looking for. Following his performances in the NBA Summer League tournaments of Las Vegas and Orlando, the 24-year-old forward/center received some offers by NBA clubs but turned them down and will thus be joining the Greens for the new season. Two factors played a big part in Auguste’s decision. First, that there wasn’t any NBA offer for a fully guaranteed deal, and second, that Panathinaikos also offered him a raise that increases his annual salary to€ 500.000. Panathinaikos is now turning its attention to Chris Singleton. The American center’s NBA opt-out in his contract is expiring tonight (20/7) and he has already turned down a lucrative extension offer by the Greens.